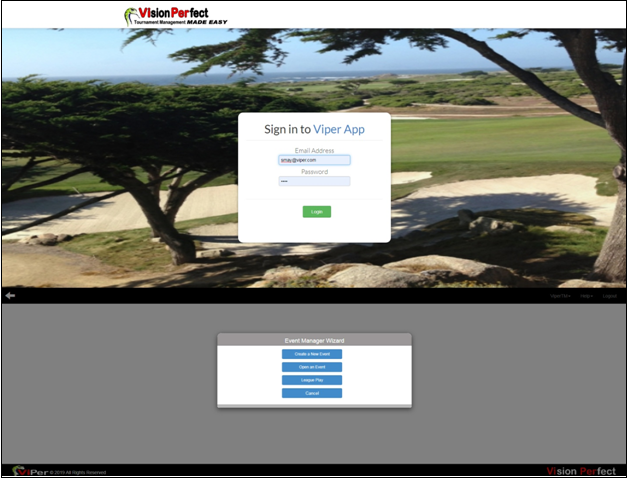 Once you login to the ‘visionperfect.com’ with the credentials provided by Vision Perfect, you can either create a new event or open an existing event. Nonetheless, firstly, give your event a name, and then choose the type of the event. 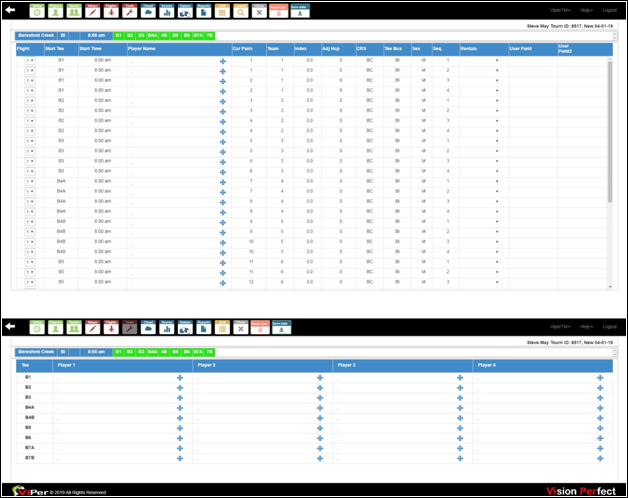 Then select ‘Start Time,’ ‘Round Date,’ ‘Holes Per Round,’ ‘Team Type,’ ‘Team Size,’ ‘Group Size,’ and the number of rounds up to 4 in the ‘Rounds’ text field. With the change in ‘Starting Tees for Mountain Course,’ the number of players will also change. 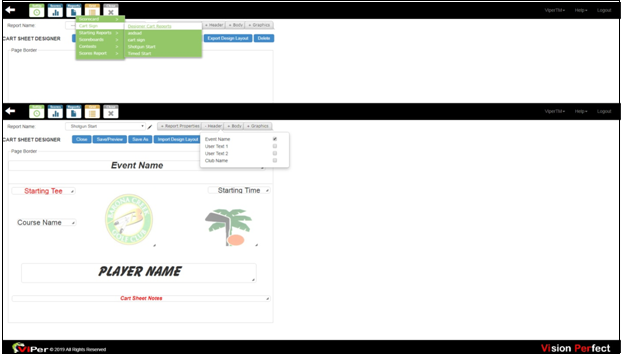 In case, you have multiple ‘Course Names’ in the list, select the course of your choice. Once you choose all the fields, click ‘Finish’ to finish the event. Then visit the ‘Player Grid’ to manage the players for the event. On this window, in the ‘Grid’ section, you can change the grid either to cross or down grid. 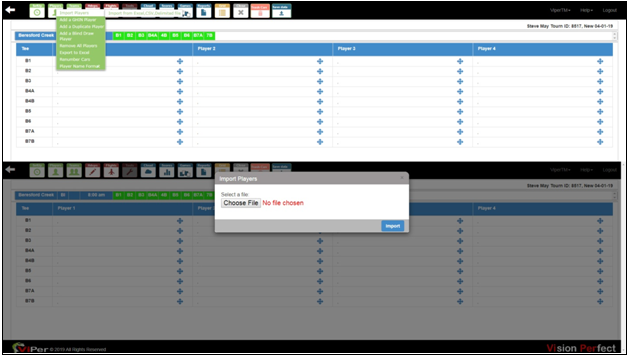 In the ‘Player Name,’ manually enter the names of the players. 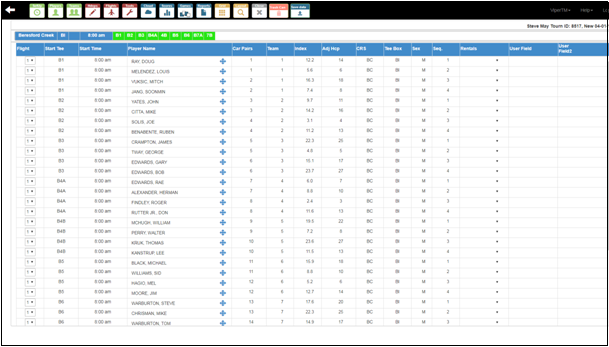 You can also import players by choosing ‘Import from Excel, CSV, Delimited File’ in the ‘Import Players’ section of ‘Players’ icon. 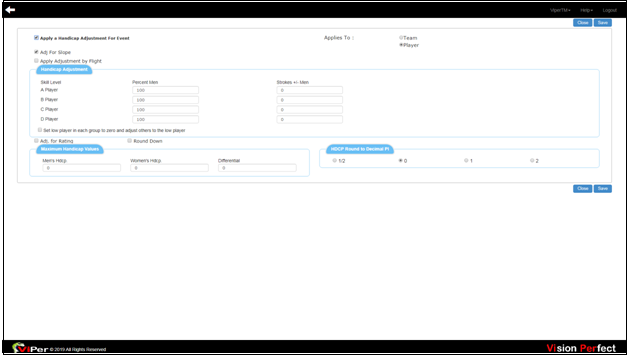 Later, in the ‘Help,’ select ‘Maintenance,’ then choose ‘Players Database Maintenance’ in the ‘Players’ section to create a database of the members. 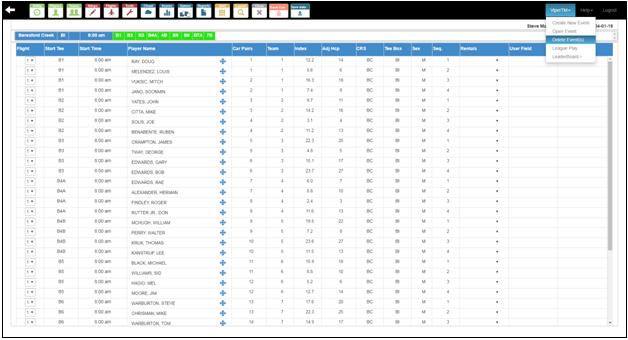 By clicking on the ‘Hdcps’ icon, and then ‘Calculate Handicap,’ you can calculate handicap of all the USGA players from the ‘Tee Box’ for which the player is playing. On ‘Hdcps’ icon, by clicking on ‘Show Handicap Screen,’ and then checking the ‘Apply a Handicap Adjustment for Event’ checkbox, you can adjust handicaps for an event either for an individual player or for the whole team. 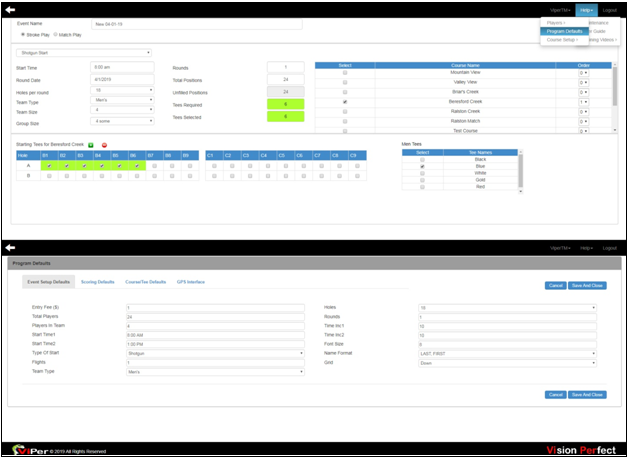 While setting up a handicap for the whole team, you also need to set up the ‘Maximum Handicap Values’ and ‘HDCP Round to Decimal Pl’ to round off the handicap index up to decimal places you want for the event. 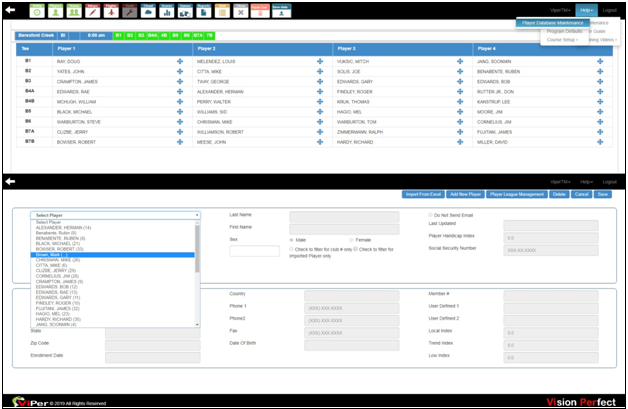 Viper also supports drag and drop feature for event management. For instance, by just dragging the ‘Tee Box’ into the grid, you can merely change the tee box of each player. 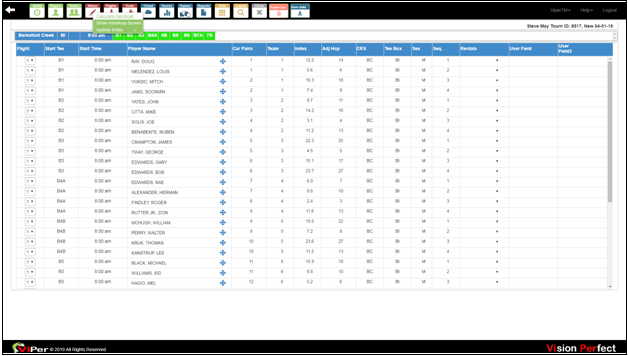 By clicking on ‘Reports’ icon, on the reports option screen, you can easily change the printing options of a report while adding up to four descriptors and ‘User Text Fields’ of your choice. By clicking on the ‘Close’ icon, you can get back to the Event Management Wizard where you can either create a new event or open an event. To delete an event, select ‘Delete Event(s)’ in the ‘ViperTM’ menu.